Csilla Boross first graduated as a piano teacher only after she received her Master of Music degree as a soloist singer from the Liszt Ferenc Academy of Music. Her tutors were Judit Németh, Boldizsár Keönch, Ilona Tokody and Gabriella Imre. From September 2003 onwards she has been a permanent guest artist of the Hungarian State Opera. For several years, starting in August 2008 she was a member of the Brno Janácek Opera, the Janáckovo Divadlo, where she sang, among others, Tatiana from Tchaikovsky’s Onegin, Venus from Tannhäuser (the latter in Japan -including Bunka Kaikan in Tokyo - as well), the lead roles of La Traviata, Tosca, Macbeth, Madame Butterfly, Nabucco and Aida. 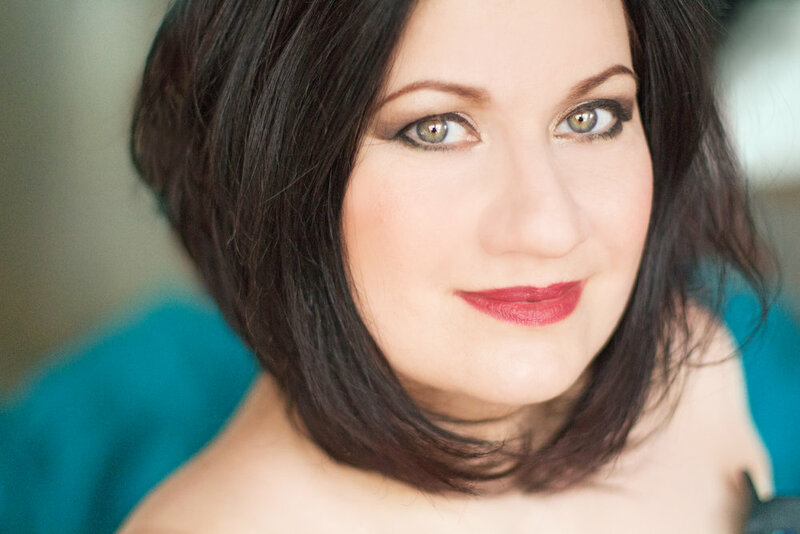 In 2009 she was the guest artist of the Prague National Theatre performing the roles of Elettra (Idomeneo), Fiordiligi, Donna Anna, Cio-Cio San,Tosca, Aida and Abigaille for the benefit of the music loving audience of Prague. On March 20 2010 she was awarded the highest cultural award in the field of opera, the so-called Thalie 2009 Award for her outstanding performance of Madama Butterfly. In the same year she also received the professional award of the Brno Theatre, the Diva 2009 Priz. Her international career took off in Trieste in 2010 with La Traviata’s Violetta. In the same year she debuted as Abigaille of Nabucco at the Palm Beach Opera House. In 2011 on the 150th anniversary of the birth of Italian national unity she sang the role of Abigaille of Verdi’s Nabucco. The performance was conducted by Riccardo Muti, her partner was Leo Nucci and the event was broadcast live by the Italian Radio and Television and the ARTE TV. In the same year she was hugely successful as Manon in Puccini’s Manon Lescaut on the stage of the Berlioz Opera House in Montpellier; the production was directed by Jean-Paul Scarpitta. She also sang the role of Tosca at the Rome Caracalla with Carlo Guelfi as Scarpia. The latter performance was directed by Arnaud Bernard, the conductor was Ascher Fisch. In 2012 the audience of the Opera de Lyon could see her as Sister Angelica and Giorgetta in Il Tabarro as part of the Puccini Tryptichon performances directed by David Pountney and broadcast live by MEZZO TV as well as shown on ARTE TV at a later date. Her debuts at the Washington National Opera (conductor Philippe Auguine) and at the Philadelphia Opera House as Abigaille of the monumental Nabucco performances of Thaddeus Strassberger were also extremely well-received. In the summer of the very same year she sang Aida at the Savonlinna Opera Festival, her partner was Johan Botha; in Ravenna she was Sancta Susanna in Hindemith’s opera conducted by Riccardo Muti. In October she debuted as Tosca at the Macao International Music Festival, her partner was Roberto Aronica, the performance was conducted by Lü Jia. 2013 brought her four new Verdi lead roles: in Rome, once again conducted by Riccardo Muti and directed by Werner Herzog, she was Lucrezia Contarini in I due Foscari, then at the Melbourne Opera as Amelia of the Un Ballo in Maschera (conductor: Andrea Molino) directed by La Fura dels Baus – for which she won the prestigious Green Room Award in 2014. In Shanghai she also sang the role of Odabella of Attila (conductor Daniel Oren), and finally she appeared on the stage as Amelia from Simon Boccanegra at the Hungarian State Opera. In the summer she returned to the Savonlinna Opera Festival as Lady Macbeth. The Palm Beach Opera audience could see her in 2014 as Lady Macbeth; in Geneva she was Abigaille in a production conducted by John Fiore and directed by Roland Aeschlimann and broadcast live by the Swiss Radio. These performances were followed by singing the role of Tosca at the Hungarian State Opera where her partner was José Cura. In June she sang the title role of Norma in Palermo at the Teatro Massimo Opera conducted by Will Humburg. In the summer she saved the first night of Giordano’s opera, Andrea Chénier by learning Maddaléna’s role in a matter of days for the hugely successful performance at the Peralada Opera Festival where the conductor was Marco Armiliato and her partners were Carlos Alvarez and Marcelo Alvarez. In the second half of the season she was once again triumphant as Lady Macbeth in Henning Brockhaus’s ambitious direction at the Muscat Royal Opera House under the conductor, Donato Renzetti. Returning to her home country, she had a unique achievement singing both female lead roles (Venus and Elisabeth) of Wagner’s Tannhäuser at the Hungarian State Opera. In the second half of the season audiences in Budapest and Rome had the unique experience of seeing her as Aida with Johan Botha and Fabio Sartori as her respective partners. Her 2015-16 season was launched with Verdi’s Nabucco – as Abigaille she had a roaring success at the first night of Opera Pittsburg. Returning to Budapest, she had her debut as Elisabetta di Valois in Verdi’s Don Carlos at the Erkel Theatre in November, and in February as Leonora in La Forza del destino in Geneva( broadcast worldwide ). At the end of the season she made her house debut in Opera de Marseille as Lady Macbeth after which she returned for the fifth time to Rome, this time with her beloved Abigaille of Nabucco. In 2016 November she sang Tosca with Marcello Giordani at the Erkel Theatre in Budapest, where she turned back later as Aida and Suor Angelica. In February she made her debut as La Gioconda in Brno with outstanding success. In April she'll make her house debut as Norma in the Teatro Fondazione di Verona. In July she turnes back to Rome as her beloved Abigaille in Nabucco. the 2017-18 she started with two house debuts in China , Zeffirelli's Aida with the Teatro alla Scala in Guangzhou under the baton of Maestro Renzetti and Andrea Chenier in Macau with Teatro Tegio Torino led by Maestro Guidarini. In 2016 she received the prestigious Hungarian Order of Merit Knight's Cross for her outstanding performances abroad and in Hungary.